Kids need sleep not only for a recharge over a tiring day at school and play, but also to aid their growth and development during their formative years. Getting the right sleep is important to support healthier growth, together with a healthy diet and active lifestyle. Getting the right amount of sleep improves your kid’s health greatly. Aside from having a physical recharge, your kid’s mind is more active for learning when optimal hours of sleep are met. This varies from age range—newborns with 14-17 hours, infants with 12-15 hours, toddlers with 11-14 hours, preschoolers with 10-13, and schooling kids with 9-11 hours of daily sleep. Read our latest guide about the best kids bedding sets. To get the right sleep, parents must be responsible for setting a good bed set up for their children’s comfort. The cozy, soft and breathable pillow enhances this sleeping experience, as it cradles your baby’s head and neck as they doze off to the dreamland. 3. Luxuriously Soft Plush Puppy with Zippered Removable Cover – Leachco Snoogle Jr. There is a wide variety of pillows for your little one to choose from depending on function and shape. Each pillow type targets a specific aspect for your kid’s sleeping needs. Some may focus on support, shape, comfort or even therapy for your little one’s health and wellness. The most common types of kid’s pillow for you to choose from for your little one are listed below. Read our complete guide about the best mattresses for kids. This kind of pillow is typically rectangular in shape, which is perfect for back and stomach sleepers. Classic pillows are mostly used by people due to their comfortable shape and resilient function. This is a great choice for kid’s sleeping and relaxing needs. One kind of pillow for kids is the flat shaped, lower fluff ones. This pillow has a firmer filling and is perfect for prevention of flat head syndrome among infants. This is a great choice for younger children and kids comfy with a lower head preference for pillows. Another fun type for kids is the C-shaped pillow. This one double in comfort as a head and neck pillow, as well as a back and leg support. Due to the C-shape, your kids feel wrapped around with the soft cushions as they relax and sleep on the bed. This kind of kid’s pillow is the best choice if your child wants the softest pillow to sleep on. 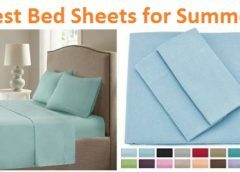 They are lightweight, fluffy and comfortable to sleep on, but they also provide support for your kid’s sleeping needs. Memory foam pillows are perfect choices if you want your little one to sleep cozily in a natural position. These pillows adapt to your kid’s shape, allowing them to sleep comfortably as they cradle the neck, shoulders, and head all night long. Get the pillow that offers the best comfort for your little one’s sleeping needs. A pillow made of cotton and memory foam fillings are ideal choices, but polyester fiber filling can also be a viable choice due to its soft and breathable features. Another crucial element is the pillow’s safety for your kid’s health and wellness. Choose a pillow that does not include harmful and hazardous materials in their composition. A hypoallergenic pillow is perfect for keeping your kid safe at all times. The shape and form of the pillow is an element you should focus on too—which one suits your child’s needs well? Do they want a larger one? Which shape? How fluffy? This relies on their taste and preference. Choose the ones that are perfect for your kid’s needs and preference. The durability of a pillow is also an important element. Get something that never disappoints and declines over frequent use and passage of time. A perfect pillow with high-quality materials that offers comfort and softness is always the best choice. Another element you need to focus on is the portable feature of your kid’s pillow. You must choose something that can be resilient and convenient for sleep and comfort—a great choice is a pillow that can be used not only for bedroom use but as well as for travel naps, outdoor relaxation and out of town trips. A perfect pillow is something that does not require complicated washing instructions. Always get a pillow that offers convenience and easy washing as it helps you from additional chores of cleaning. Also, having a low maintenance pillow relieves you from a quality decline over the duration of use. Budget is always an element to consider, and getting something for your kid does not require spending largely—you should always portray the role of a wise buyer, and that is someone who buys items that are of top quality at a friendly price tag. You must always consider the quality of the product over its luxurious price range and appeal. The design is also important, but that may come in handy. Personalized pillowcases are available, or can be hand sewn at home easily. Just always remember that you should get the best pillow that meets the above criteria first above all to support your child’s sleep needs! The best kid pillow perfect for your little one at home is brought to us by Dreamtown Kids—the amazing beauty and outstanding quality Dreamtown Kids Large Size Kids Pillow. This one is a simple yet elegant piece of comfort packed in a rectangular shape that varies in size, depending on your preference and needs. Amidst its simple design of pure white color coat on its surface, you can easily spice it up and style it accordingly to your taste with covers or use it bare! This awesome creation is available in different sizes for your kid’s needs—extra small (13×19), large and extra large. 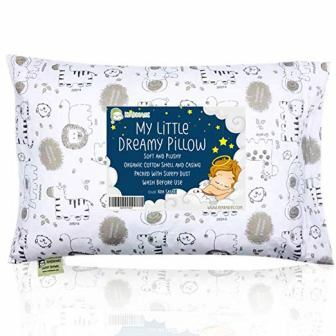 Made up of the best quality, high grade 100% organic cotton shell with polyfill, this kid’s pillow will surely help your little one achieve that soothing and relaxing sleep from a busy day of play and school! The premium bed essentials got your back in helping your kid reach the much-needed rest and recharge for their growth and development! The durable, long-lasting and premium creation can be used without worries of downing and decline over the passage of time and frequent use. This great piece is reliable in keeping your children asleep and comfortable in bed whenever they sleep for the night—and even during afternoon naps! This great kid’s pillow from Dreamtown Kids is the perfect choice due to its unbeatable comfort and softness provided by the 5 inches thick pillow! The kid’s pillow ensures a cozy and relaxing sleep experience with its handmade finish topped with unbleached, organic and soft microfiber cluster fiber for the best relaxation your little one needs. This is also a safe and secured bed pillow to keep your child far from allergic reactions due to its 100% hypoallergenic features. You can’t doubt its premium performance that aces all the elements you are looking for the perfect pillow to fit your kid’s needs! This is the best creation you can give to your little one due to the ample benefits it brings to your baby as well as to you—this premium pillow is not just for children, but as well as for adults! The chiropractor and upper cervical support help in keeping your sleep healthy at all times, even for adults, elders, and teens out there! This is also the best companion not only for bedroom sleeping but as well as for travels and out of town trips due to its portable built and convenient size. Truly, this is the best choice for your family’s sleep and relaxation needs! Comfortable, consistent and hypoallergenic for a relaxing, undisturbed and peaceful sleep anywhere! Portable, convenient and resilient pillow for durable, long lasting and reliable performance for years to come! Perfected with all elements at top quality—nothing more to ask from this excellent kid’s pillow from Dreamtown Kids! 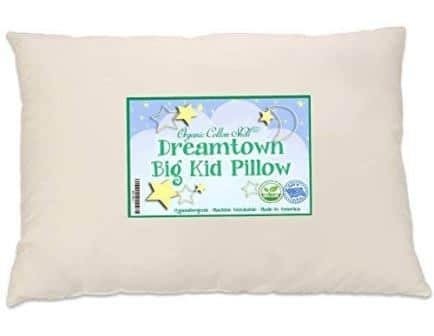 Another great choice for your kid’s pillow is this awesome creation brought to us by Snuggle-Pedic—the fun, fluffy and beautiful Dreamtown Kids Large Size Kids. The superior creation sets the bar high with the adorable patterns designed on the surface to add style and beauty to the sleeping equipment. This is a pure white themed pillow that can be used as a large pillow for the head during sleeping time. Made up of the best quality, high-grade materials, this stunner is the perfect choice for your sleeping needs due to its 43% viscose of bamboo, 56.4% polyester and .6% lycra that is an optimum mix for an undisturbed, deep and relaxing sleep experience your little one needs! The premium creation is perfected with a durable, tough and reliable build that will keep your baby comfortable during night time for years to come! There is no room for the decline, downing, and disappointment with this awesome purchase from Snuggle-Pedic! This awesome purchase will truly be your little one’s favorite pillow due to the utmost comfort and breathability it delivers to your kid’s sleep experience. The stunning creation is perfected with shredded memory foam that will never disappoint as your baby sleeps and uses it over the passage of time. Everything used to create this kid’s pillow is hypoallergenic and safe from all hazardous items to ensure your baby’s health is a top priority. The great creation is perfected in all aspects with its excellent performance—function, comfort, and beauty! This premium kid’s pillow from Snuggle-Pedic is one of the best due to its multiple features perfect for a convenient and reliable purpose. The amazing creation is also a great choice not only for kid’s use but as well as for teens, adults, and elders due to the unbeatable comfort it grants anywhere you want to use it—car, travel, trips and a whole lot more! The micro vented cover equipped in this awesome purchase helps in keeping the sleep environment cool and cozy at all times! Resilient and convenient pillow for all needs suited for teens, adults, and elders too! Stunning creation without any need for changes and improvements! One of your best kid’s pillow choices to check out is this great creation from Leachco—the fun, interesting and adorable Luxuriously Soft Plush Puppy with Zippered Removable Cover. This kid’s pillow is a big one with a C-shape with designs of animals to get your kid’s attention and hearts. The amazing pillow can function as a cozy full body pillow with animal color variants of the bunny, fox, monkey, and puppy for your kid to choose from! This awesome piece does not only astonish and attract kids with its fun colors and designs but as well as for its high-quality materials that brings lounging, relaxing and sleeping at another level. This amazing creation is perfect for that energizing rest due to its durable, long-lasting and premium quality you can enjoy for the coming years. You can expect great things from this awesome pillow not only for its fun design but as well as for its unbeatable function! Comfort is what Leachco wants to bring to your home with this stunning piece! The kid’s pillow is perfect for that recharging slumber your children need due to its comfortable, soft and fluffy feel brought along its cute design. The premium pillow is also perfected with hypoallergenic materials that put your child’s health at a top priority above all else. The performance you can get is of top-notch caliber as the pillow excels in supporting sleep, growth, and relaxation for your kid’s health and safety! This great choice is something that you won’t trade for anything else due to its handy and portable built you can take anywhere you go—home, travels and outdoor use! The pillow is a convenient piece that allows your kid to sleep on with the cozy feeling of being wrapped around. Washing the pillow’s covers is not an issue due to its easy to remove zipper enclosure that can be machine washed for a convenient and quick cleaning need. A real masterpiece for your kid’s comfort and sleep, this one is truly a must-have! High quality, premium materials for that consistent and long-lasting sleep experience! Adorable, long-lasting and comfortable—everything is right about this premium choice from Leachco! Another great choice for a child’s pillow is this adorable and cuddly creation brought to us by Butterfly Craze—the adorable and fun colored Butterfly Craze Girl’s Floor Lounger Seats Cover and Pillow Cover. This is a must-have due to its colorful themes and cute patterns of polka dots perfect for all kids out there. This cutesy is available in colors of red, light pink, purple, hot pink and aqua blue as well as variants of five pillows in small (26 x 75) and large (32 x 75) sizes. The superior grade, high quality and premium materials equipped in this kid’s pillows are perfected with precision and durability to ensure your little one gets that desired sleep and comfortable feeling to aid their growth and development. The great creation can be assured to perform at a top function for the coming years without tolerance for decline, deterioration, and change in performance. With its full bed built with a pillow head feature, you can expect only the best things from this awesome choice! There is nothing more to search for if you get this premium creation brought to us by Butterfly Craze! The kid’s pillow is a superior choice that provides great comfort and softness to your sleep experience due to its great foam technology. You will never be disappointed with the pillow’s capacity to bring everything your little one needs for that comfy and undisturbed sleep—the pillow set is hypoallergenic and safe, and it consistently delivers a great performance! This great choice for home improvement and bedroom needs is not only perfect for kids’ use but as well as for adults and teens to love! The awesome pillow brings function and style in one purchase—it effectively works as a bed and as a pillow! The convenient build and portable design allow you to easily take the pillow and bed anywhere you go—even during travels and out of town trips. Caring for this great purchase is not an issue due to its machine wash feature for easy cleaning needs. Nothing more to ask from this two in one—bed and pillow— piece perfected in terms of performance, convenience and durability! 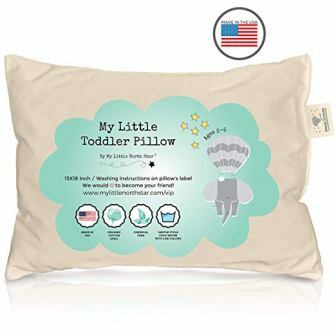 Another great choice you should consider is this Little Sleepy Head product—the heavenly soft and comfy Little Sleepy Head Toddler Pillow of size 13 X 18. 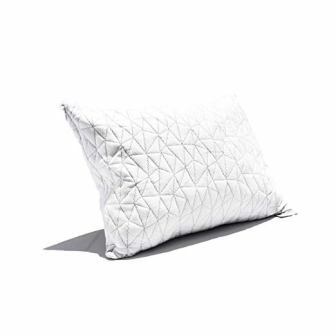 This one is a rectangular shaped pillow with a pure white coat on its surface for a simple yet sophisticated design. It can be easily personalized and styled according to your little one’s preference with the covers available for you online. This great creation is perfect for toddlers and kids to sleep on! 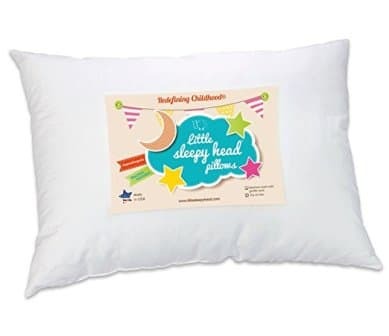 The magnificent piece from the Little Sleepy Head product line provides best care and support for your child’s growth and development with the help of this premium made, high-quality pillow. The materials used are of best grade to ensure quality and durability come first above all else. The pillow is packed with cotton material that keeps your little one soundly asleep all throughout the night. This adorable choice never disappoints with its high quality and consistent performance for years to come. This great kid’s pillow delivers only the best comfort and softness to your home and to your children’s sleep experience due to its 100% cotton material that never downs and flattens amidst constant use. This awesome creation also keeps your kid away from hazardous materials with its hypoallergenic components to ensure health and safety are top priorities. The pillow continuously pleases its customers with function and style fused in one purchase. Your kid finds a new favorite pillow with this fabulous piece brought to us by Little Sleepy Head—the numerous benefits and advantages prove that this pillow is truly deserving of your trust and investment! The great kid’s pillow is packed with the safe and comfortable materials to ensure your little one gets that relaxing and energizing sleep from this premium pillow that never disappoints! Premium creation without any need for changes and improvements! Another awesome kid’s pillow choice you need to see is this cuddly piece from Coop Home Goods—the stunning and beautiful Coop Home Goods Shredded Memory Foam Toddler Pillow that measures 14×19. The adorable creation is designed with beautiful patterns to add beauty and life to any room while keeping function and performance at high levels. This kid’s pillow is available in a full white coat that looks classic and fabulous for your kid’s bedroom. The beautiful creation is topped with high-quality materials for that durable, long lasting and consistent performance your little one needs in order to attain that comfortable, relaxing and energizing sleep they need to grow and develop. The pillow cover is composed of 60% polyester and 40% rayon from bamboo to ensure toughness and reliability of performance for years to come. The rectangular building over the soft pillow is a great choice for your little one’s sleeping needs. Another feature you must be excited about is the premium comfort and softness the pillow brings to your kid’s sleeping experience! The pillow is cotton soft to keep the head well rested and comfy as your little one sleeps all night. 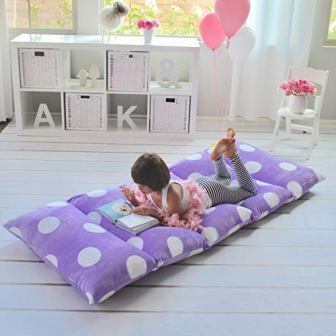 Also, the pillow is made with hypoallergenic, hazard-free and breathable materials for your kid’s health and wellness. You don’t have to worry about your kid’s sleeping time because Coop Home Goods got everything covered for you! 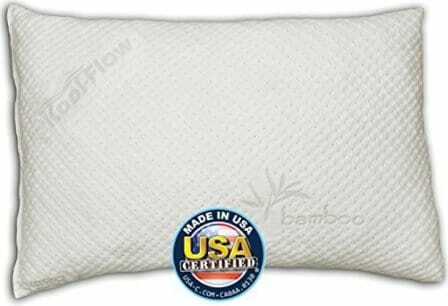 This is a phenomenal choice for a kid’s pillow due to the numerous benefits it brings to your home and to your kid’s life. The awesome pillow is not only perfect for young ones and children but as well as for adults and teens to love. The great creation is soft cover is perfected for all skin types and is easy to clean with the machine wash friendly feature. You can rely on this awesome pillow as a portable, the convenient and handy choice to support sleep and rest for your child—as well as for you! Portable and handy, perfect not only for kids but as well as for adults too! Perfect in all aspects without any need for changes and improvements! 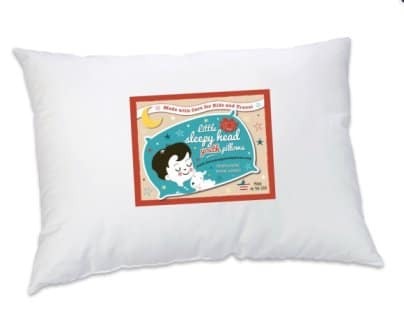 One of the best choices you should consider for your kid’s pillow is this great creation from My Little North Star—the fun and adorable Toddler Pillow that measures 13X18. This kid’s pillow is available in a cream color which is best suited for both male and female kids. It has a rectangular shape that can be styled with pillowcases. The lovely piece is available in sizes of 13×18. 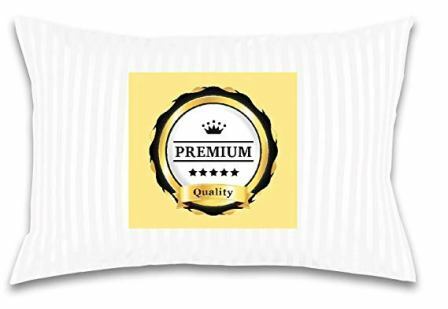 You won’t regret getting this premium pillow due to its great quality materials to ensure the quality of performance and durability of purpose are the product’s top priorities. The awesome kid’s pillow is made up of 100% organic cotton shell for that excellent softness and comfort brought to your kid’s sleeping experience over the years to come. The comfortable pillow provides utmost comfort and softness to your kid’s bedroom with the help of the breathable, cozy and premium cotton made pillow from My Little North Star. The amazing creation also guarantees your baby’s safety and health with the hypoallergenic materials and finish for the pillow. You can only expect great things from this beautiful and functional pillow brought to us by My Little North Star! You can’t resist how fluffy and wonderful this pillow is—as well as the benefits and functions it bring to your kid’s life! The heavenly soft pillow is not only suited for kids but as well as for adults and teens out there. The handy, lightweight and convenient built is perfect not only for the bedroom but as well as for outdoors, trips and travels on the road. This will truly be your kid’s favorite pillow! Hypoallergenic and handy, perfect not only for bedroom use but for anywhere else too! Stunning creation perfect in all ways possible! Another great choice for you to consider is this Utopia Bedding pride—the stunning Utopia Bedding Dreamy Baby Pillow that measures 13 x 18. This premium piece best suits toddlers and kids due to its smooth and soft design at the right fluff level. This is a pure white beauty with a rectangular form perfect for your little one to sleep on. You can style it any way you want with pillowcases for your kid’s interest. 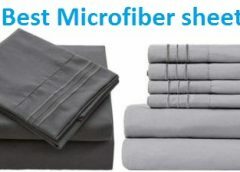 This great creation is made with high-quality materials of 100% cotton with 240 thread count that can assure great comfort over the years to come. The precise built and creation assures top-notch performance with consistent yield for your little one’s sleep experience. The awesome creation is also durable and long lasting without any defects over frequent use. This fun bedroom piece offers top comfort and softness to your little one’s sleep experience. The breathable fabric ensures your little one sleeps deeply over the night. The hypoallergenic features keep your kid healthy and safe from hazardous materials that may harm them. The pillow allows continuous performance of high quality and comfort for everyone to love. The awesome piece is easy to clean bedroom essential perfect for your kid’s sleeping time. The convenient and portable pillow is a great choice not only for bedroom use but as well as for living room naps, travels, and trips out of town. The amazing creation can be machine washed without damaging the pillow’s softness and quality. Perfected in all aspects without any improvements needed! A fun and colorful kid’s pillow that will surely excite your child is brought to you by KeaBabies—the adorable Toddler Pillow with Pillowcase that measures 13X18. This cute choice is packed with so much function for its handy design and light size. This kid’s pillow is a creative piece with patterns of animals and cute stuff over the white, black and grey colors designed on its surface. This premium creation is perfect for that long lasting performance and durable function that can be used by your little one for the years to come. This great pillow is made up of premium materials that can allow your kid to sleep comfortably without decline to its performance. This is the perfect choice that can bring more function and fun to your little one’s sleeping experience! This kid’s pillow from KeaBabies delivers comfort and softness at top levels with their premium materials composition perfect for your little one’s growth and development. The pillow’s commitment to safety includes the hypoallergenic feature that supports breathable and healthy sleeping habits without compromise for harmful materials. This is a great choice with excellent performance for your child to love! You can’t ask for more from this great kid’s pillow brought to us by KeaBabies! The amazing pillow does not only feature beautiful prints and fun patterns, but it also gives children a comfortable and soothing sleep over the night. The lightweight yet soft pillow is perfect not only for bedroom use but it can also be used during trips, travels, and outdoor use. This is truly one of the best choices you should get for your little one! Safe and hypoallergenic with portable features for your kid to sleep anywhere cozily! Nothing more to ask from this stunning creation brought to us by KeaBabies! 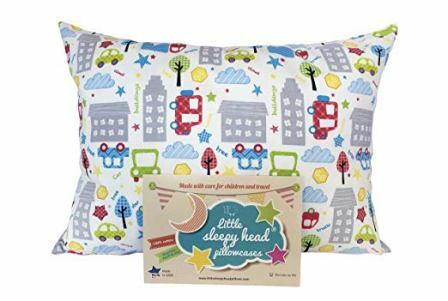 A great choice for a kid’s pillow is brought to us by Little Sleepy Head with this great purchase—the Little Sleepy Head Toddler Pillowcase that has the size of 13 X 18. This is another great purchase due to its classic pure white coat that looks pristine and easy to style with personalized pillowcases. The rectangular shape is perfect for a great sleeping experience your kid needs for growth and development. You can purchase this great creation in colors of blue marble, cars, elephant, pink marble, white envelope, and the white standard variant. Your child will enjoy long hours of undisturbed sleep with the help of this great creation due to its durable materials and high-quality performance that lasts for years to come. The premium creation is packed with functionality with its 100% cotton composition perfect for great softness and performance. The beautiful product is built with perfection to ensure your little one gets the most out of the sleep experience. Perfected with great comfort and softness, this awesome purchase from Little Sleepy Head ensures that your kids get the most sleep and rest they need for the day. The premium pillow is made to be hypoallergenic and safe without harmful materials used in creating it. Your child’s wellness and health come first while ensuring growth and development are aided with the help of this prestige pillow! This great pillow from Little Sleepy Head is one of the best choices you should consider for your kid’s sleeping needs. The premium pillow is made to be lightweight and soft, which is a perfect companion not only for bedroom use but as well as for travels, trips and outdoor use. The awesome choice is also easy to clean with its machine wash cotton fabric for convenient maintenance. Nothing more to ask from the from this flawless kid’s pillow from Little Sleepy Head! This kinder Fluff is another great choice for your kid’s pillow—the kinder Fluff Toddler/Travel Pillow that does not need extra pillowcase or sham. The adorable purchase is filled with great softness and fluff for your kid’s comfort and enjoyment. This kid’s pillow is a pure white bedroom essential that can be styled accordingly to your child’s taste with fun, colorful and adorable cases. Packed with great quality materials of 100% synthetic polyester cluster fiber fill protected in 100% premium grade cotton of 300 thread count, you can only expect the best from this exciting pillow from kinder Fluff. The prime kid’s pillow also provides great durability for years of consistent performance and high-quality reliability for your little one’s sleep experience. Comfort is one of the elements aced by kinder Fluff with this great creation. Your baby’s health and wellness are also important and kinder Fluff got your back—the pillow is hypoallergenic and safe without any harmful materials used to create it. This great choice aces performance with its soft, breathable and cozy feeling to the skin for your little one to love! This kinder Fluff product is perfect not only for kids but as well as for teens, adults, and elders due to its irresistible softness that no one can resist. The premium fluff that supports neck and head can be used for travels, trips and outdoor relaxing. The machine washable pillow also relieves the customers of difficulty and worries about cleaning the pillow after days or weeks of use. This stunning choice from Little Sleepy Head is another one of the best kid’s pillow you can get online—the premium Youth Pillow measuring 16 X 22 which is made in the USA and backed by Our Love The Fluff Guarantee. This is a simple pure white themed pillow that can easily be personalized with creative and playful pillowcases for your little one to love. This is made up of the best quality materials for that great performance you can rely on for years to come. The long-lasting, durable and reliable kid’s pillow is perfect for keeping your kid’s sleep undisturbed and recharging to aid growth and development. The premium rectangular built is perfect for comfortable head support your child will surely love! The kid’s pillow offers great comfort and softness to your little one’s head and neck over the night! The premium fluff ensures your child gets the best experience all night long. The soft pillow does not only excel in performance and function, but it also ensures health and wellness are top priorities with the hypoallergenic and safe from hazardous materials features this pillow provides to every home! Little Sleepy Head continues to astound everyone with the great benefits and advantages this pillow brings to your child’s life! Aside from the handy and lightweight built, the pillow is perfect for convenient traveling, trips and outdoor naps due to its portable feature. Your baby will love this pillow due to its right size and fluff, as well as it’s easy to clean and machine wash features! One of the best choices for a kid’s pillow is this premium product from Clevamama—the Clevamama Foam Toddler Pillow perfectly suited and fit for children aged +12 months. It has a flatter form that the others in the list with a rectangular form to support the head and neck. This great piece is a pure white coated pillow to accompany your kid’s sleeping needs. Made up of high-quality materials for that comfortable sleep experience, this product from Clevamama ensures durability and function can be attained for years without changes in the quality of performance over the passage of time. The pillow can perform with consistent yield in supporting priceless nights and heavenly slumbers for your little one. This stunning creation does not only offer beautiful and luxurious looks, but it also excels in providing comfort and softness to your kid’s sleeping haven. 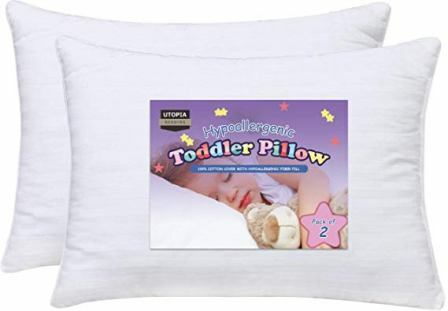 The hypoallergenic pillow focuses on keeping your little one healthy and safe from hazardous materials. Also, the breathable and premium pillow keeps your child soundly asleep during the night. This great pillow is packed with numerous benefits that will surely grant you more than what the other choices offer for your baby. The Clevamama pillow also focuses on head and neck care and it aids parents in preventing the flat head syndrome for infants during their developing years. This great piece is what your little one needs—and it’s a machine wash, easy to clean and convenient bedroom essential your baby wants for their sleeping needs! Removable and machine wash friendly pillow that can be used anywhere, anytime! This is another kid’s choice you should consider for its premium softness, comfort, and style—the all-white beauty Best Toddler Pillow perfect for back and neck support for toddlers, kids and children out there! This premium creation does not require a pillowcase with its resilient and ready to use design! This fun pillow is the best companion for kids due to its rectangular form and soft sensation perfect for bedroom use. Made from the best quality materials for that premium finish, this pillow created with polyester fibers is packed with great durability and function in it. The long-lasting performance and consistent function ensure you get what you paid for to aid your little one’s growth and development. The fluffy and snug built is perfect for cuddling for your little one to sleep on over the night. This stunning creation features great comfort and softness that is perfect for long hours of relaxing sleep. Everything is made with safe materials as the pillow is a hypoallergenic one that keeps health and wellness a priority. The creation ensures you get everything you need from this premium pillow—comfort, safety and beauty—packed in one product! The kid’s pillow is an outstanding creation that delivers convenience and comfort to your homes to support your kid’s growth and development. The premium piece is a great choice not only for bedroom needs but as well as for out of town trips, travels, and outdoor naps. The amazing creation focuses on the neck and head support, as well as for portable purpose for your little one to love! 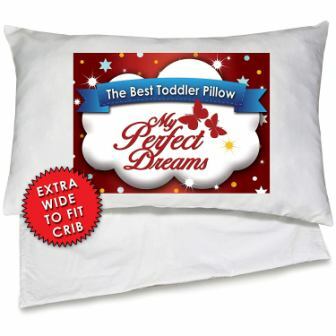 The last kid’s pillow you must consider is this My Perfect Dreams pride—the fluffy and cotton soft My Perfect Dreams Toddler Pillow that comes with a premium quality fiber filling plus super soft 100% cotton pillowcase. This one is a pure white pillow with a rectangular form perfect for your kid’s sleeping needs. The extra-wide form is perfect for better support and fit to your kids’ cribs. This is exactly what your little one needs—the premium quality materials for a great performance that shows off durability and reliability over the years to come. You can rely on this kid’s pillow for comfort due to its soft and premium materials that assure your baby enjoys its function amidst frequent use. The premium built is perfect not only for appeal but as well as for function. This pillow will lull your little one to a comfortable, soothing and relaxing sleep! The cotton soft feel to the skin keeps your baby soundly asleep, while the hypoallergenic feature provides a shield for your little one against harmful materials that may affect his health. The pillow truly delivers great results with its stunning performance you can rely anywhere, anytime! This is a premium choice with great benefits waiting for you to uncover! The pillow is easy to clean with the cotton case that can be machine washed easily after days of use. This pillow is also lightweight and handy, which can be a portable sleep companion you can take anywhere, anytime!